Pun choi is a much-loved food that’s guaranteed to make an appearance during Chinese New Year. But what’s the story behind this oversized dish? 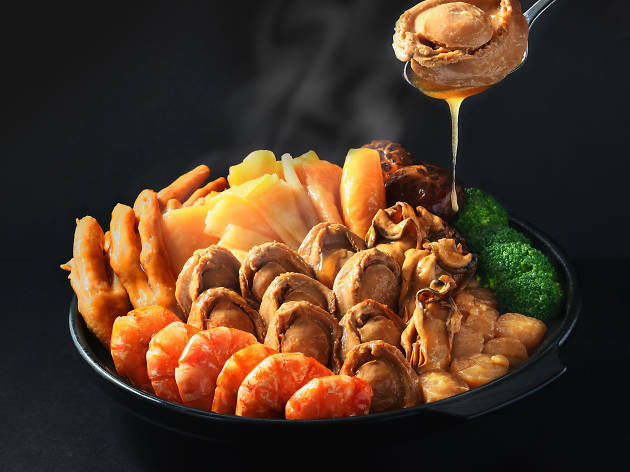 It has been said that pun choi was originally invented by early residents of the New Territories who cooked up the colossal dish for celebratory occasions such as weddings, births and Chinese New Year. 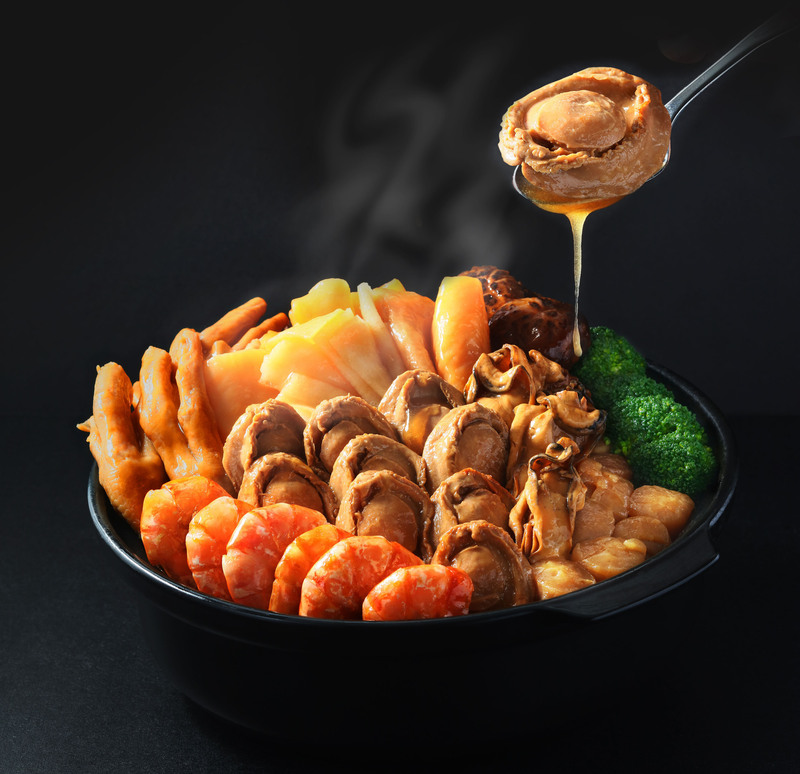 These days, it has been adopted as a traditional Chinese New Year food and become appropriated by mainstream media, making the origins of the adored fare even more cloudy. Nevertheless, despite all the stories, the most plausible one is also the most bittersweet. Legend has it that during the late Song Dynasty, when Mongol troops were invading China, the emperor fled to the areas around Guangdong province and Hong Kong. When the royal family and their army passed through the New Territories, the locals wanted to host them but their resources were limited. 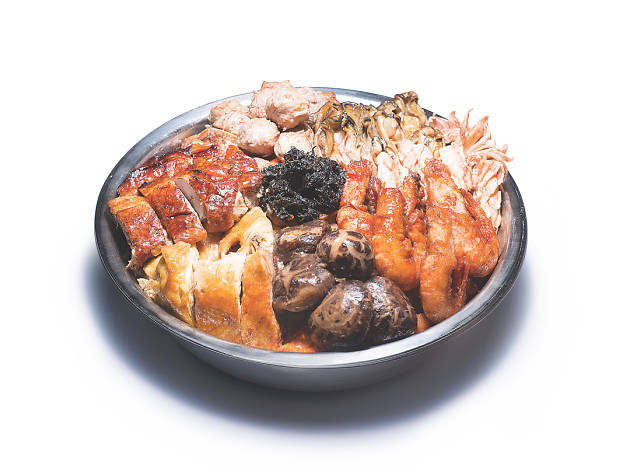 Thus, they gathered all the best ingredients they had available, cooked them, and because there were not enough containers, they put the food inside large wooden washbasins – giving birth to the celebrated dish. Naturally, preparing food fit for royalty could be quite time consuming and, traditionally, it would take three days. Firewood would be collected on the first day for the cooking marathon that would follow, and the second day was used to slaughter the livestock and marinate the meat. The last day was for cooking the ingredients, which could take over 10 hours. There are at least eight different types of main ingredients in a classic pun choi, including turnip, mushroom, chicken and pork. When eaten, it may seem that the ingredients have been thrown in at random, but the layering of the different elements is a craft in itself, with the flavours of the dish becoming more complex further down the basin. 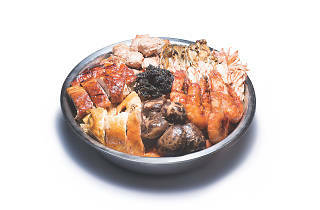 The top layers usually consist of components such as seafood, chicken or prawn, while the middle is filled with pork and dried mushrooms. The bottom layers are reserved for turnip and fatty pork, which soak up the sauce and juices from the ingredients on top. These days, you no longer need to travel to the New Territories to enjoy pun choi, as many restaurants around the city have a version of this festive treat – but one thing that hasn’t changed is how to eat it. The huge basin of food should be shared with friends and family, with everyone working together to peel back the layers, which symbolically represent co-operation between individuals, working together to bring luck and fortune to fruition. Hungry for a CNY feast? The Year of the Dog is upon us and here are the best CNY menus in town, with not a dog’s dinner in sight.